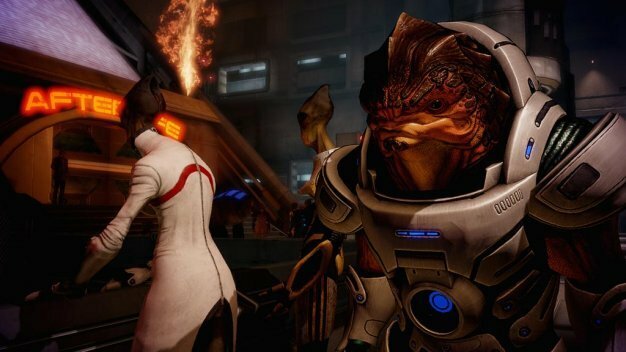 The second chapter in BioWare’s sci-fi epic, Mass Effect 2, has been dated today; EA has slated the game for a January 26th release in North America and 29th in Europe and, naturally, there are goods up for grabs for those who reserve their copy before the street dates. Dr. Ray Muzyka, BioWare co-founder and Group General Manager of the RPG/MMO Group of EA, promises the game to be of “amazingly high quality” and “couldn’t be more excited to reward [fans] for pre-ordering by delivering some awesome bonus content!” That bonus content includes souped up special-ops armor and weapons — Inferno Armor (pic) and Terminus Gear (pic) (“includes the powerful Terminus Assault Armor and the M-490 Blackstorm Heavy Weapon”). Although PS3 rumors just refuse to go away — following Aussie retailer and EA Russia slip-ups, community manager Jay Watamaniuk stumbled recently by saying the game will released for “probably PS3” too — the game is currently announced for just the PC and 360.